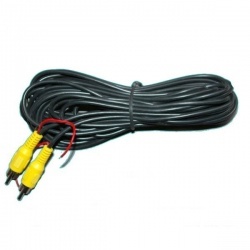 This is a simple 15m RCA cable for use with reversing cameras with RCA connectors. 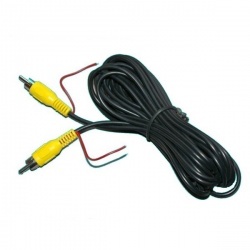 It is common to have a trigger wire on monitors that is attached to the reversing light. This turns the monitor on when reverse is selected. 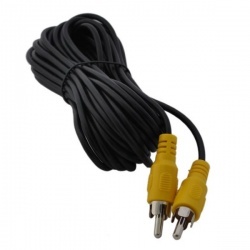 Usually this means running a separate cable back to the reversing light. On this RCA cable though we have had them made up with an additional red wire to save you the trouble of running this extra cable. 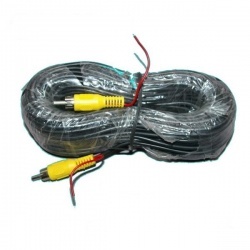 It is also possible to utilise this cable to carry power back to the camera if you wish. 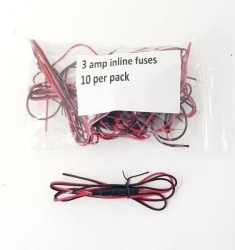 A simple bit of soldering does the job, but remember all power wires should have a low amperage fuse as close to where you connect to the vehicle electrics as possible. 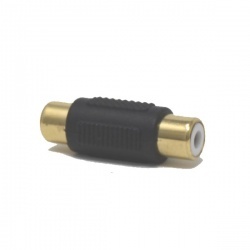 You can find a suitable 3 amp fuse and holder in the related products below.